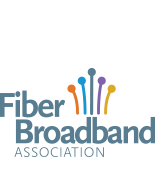 Fiber Broadband Association : Blogs : Magellan lights up Downtown Sumter with Gigabit fiber! Denver, CO, March 29, 2019 – The City of Sumter, SC selected Magellan Advisors as the Project Manager to oversee design, engineering, procurement and permitting, and provide construction management resources to expand the City’s fiber-optic network in the downtown Sumter geographic area. Phase 1 of the network consisted of design and installation of a backbone ring and corresponding lateral distribution to high capacity, high reliability broadband internet capabilities within the Downtown Sumter area. For any installation performed within the historic City Centre district, great care was taken during both the design and construction phases of this project to minimize aesthetic impact and preserve the existing land and cityscapes. All necessary ground disturbing efforts within those designated spaces were carefully planned, implemented and restored accordingly. Magellan worked closely with the City to make sure that all the City’s needs were met, paying close attention to the project schedule and budget. Magellan maintained a consistent working relationship with both the City and the contractor while coordinating all aspects of construction management to keep the operation running smoothly. Magellan provides leading broadband, smart city, information technology, and security consulting services to public, nonprofit and private sector organizations. We are a full spectrum planning and implementation firm that brings together technology, communications, and utility consulting to create smart gigabit cities of tomorrow. We are only successful when our clients are successful. Our goal is to find practical broadband and technology solutions that our clients can implement in their communities. Through our services, over $1 billion in new broadband investments have been made connecting more than 1,000 schools, hospitals, libraries, and governments and passing nearly 1 million homes with fiber.